What are the Disadvantages of Powdered Milk? 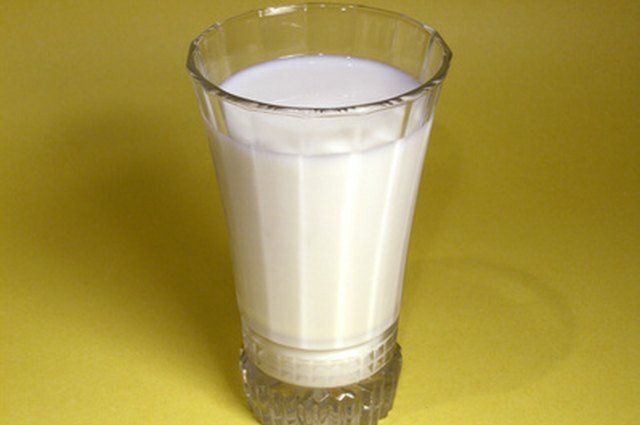 Powdered milk is considered an inexpensive alternative to regular liquid milk. Powdered milk has been dried using vacuums and spray nozzles or atomizing wheels. The milk particles are then scraped off the wheels and packaged for consumption. In the drying process, microbes that would cause spoiling have nothing to live or grow on. Many bakeries use powdered milk instead of regular milk in bakery products. But there are some disadvantages to using powdered milk. The flavor and consistency of powdered milk is slightly different than that of regular liquid milk. Adding that to the absence of aroma molecules, powdered milk is usually less appealing than regular liquid milk, especially if that is what you are accustomed to drinking. Powdered milk is sometimes mixed with regular liquid milk, a little bit of sugar and vanilla, or chocolate to assist in masking the taste. Many times powdered milk is made from nonfat or low-fat milk, and the lack of fat also affects the flavor. In the past is was more economical to buy powdered milk than regular liquid milk. 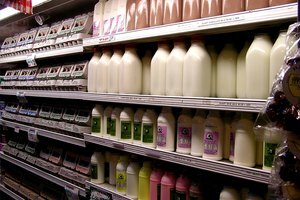 But with inflation and other economic changes that have arisen, both milk products are now generally the same cost. Powdered milk can be purchased in bulk, but the cost is still fairly high, and then you have the issue of the proper storage of an abundance of powdered milk. When purchasing from a store or bulk foods distributor, be sure to check for freshness. Any human error in storage can result in a bad batch of milk, especially if it has been sitting on store shelves for a while. Regular powdered milk must be mixed ahead and stored in the refrigerator. Instant powdered milk may be mixed and used immediately. Once mixed, the milk will keep for five to seven days in the refrigerator, just like regular liquid milk. Unfortunately, there is a misperception that powdered milk in its powdered state has an indefinite shelf life. Nonfat powdered milk has a longer shelf life than regular powdered milk because it does not contain fat, which can go rancid. Powdered milk should be stored in its original container in a cool, dark cupboard at temperatures no higher than 70 degrees Fahrenheit. Many homes exceed this temperature during summer months, which compromises the integrity of the powdered milk. 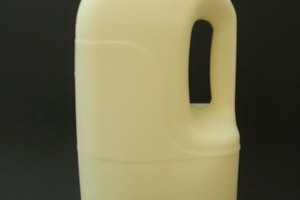 Unopened packages of nonfat dry milk can be stored for up to a year. Once opened, they should be used within a few months for best flavor and nutrition, but they are still safe and nutritious for up to a year. Laurel Dalzell has been writing in daily and weekly publications since 2003. Her work appears on eHow, where she specializes in family and home topics. Her inspirational articles have been featured on Women's Empowerment Canada. Dalzell has a Bachelor of Arts in ministry with proficiency in music from Andersonville Theological Seminary. 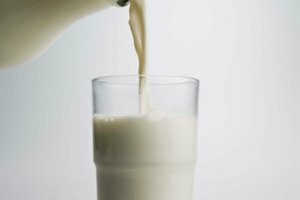 Does Whole Milk Contain Water?